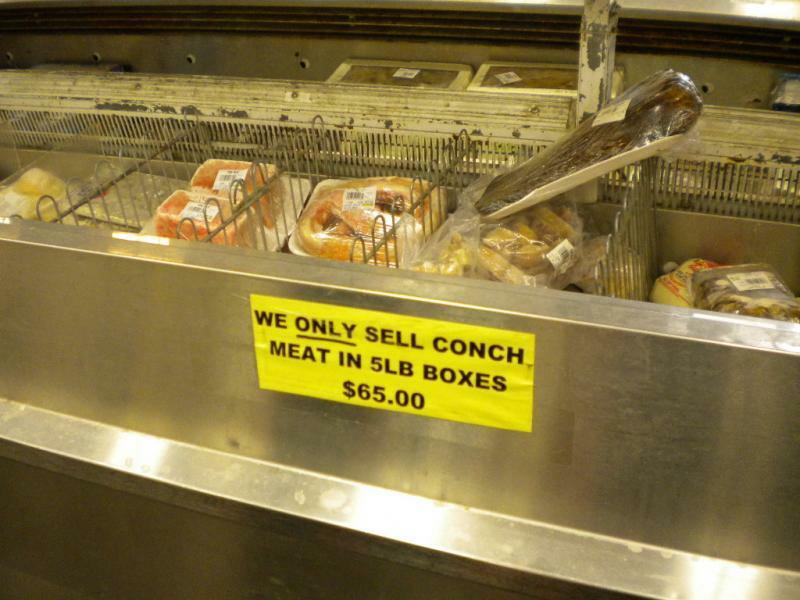 @HungryChris the conch fritters will require images! Not a cheap item here. 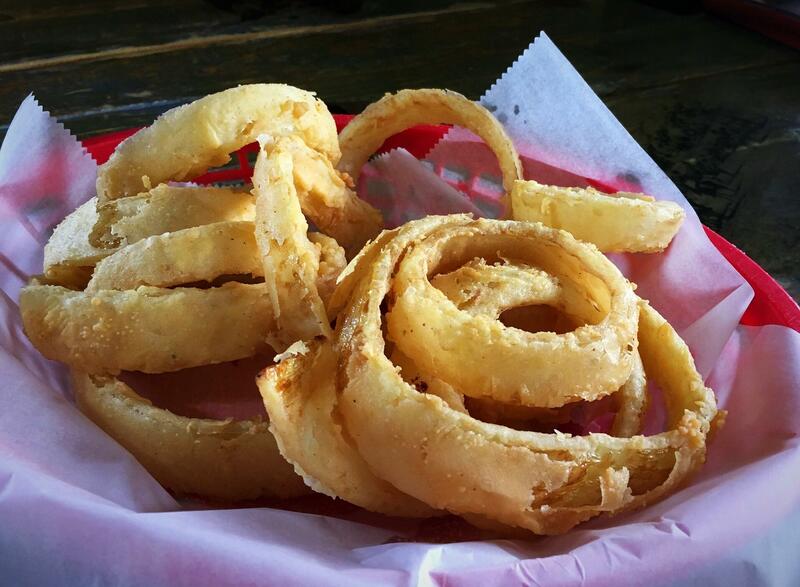 Back on Bolivar on Thursday with Lunch at the Stingaree Restaurant in Crystal Beach. 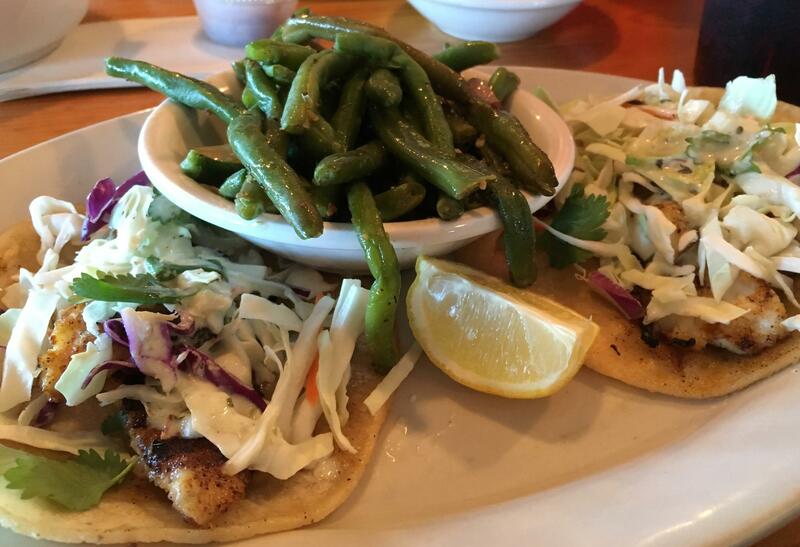 They have a new lunch menu that offers Fish Tacos (I chose Grilled) with One Side (I chose their Green Beans which are cooked with onion and bacon). 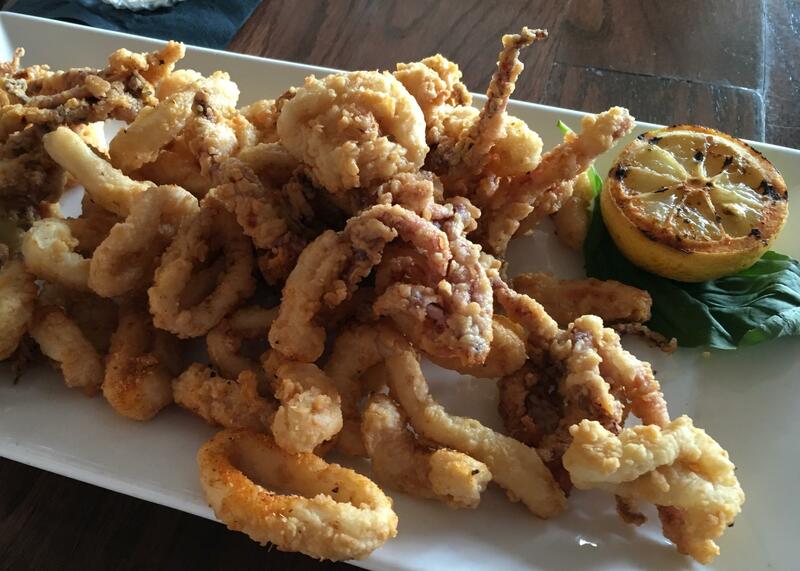 Winner Winner on your lunch: green beans with bacon and grilled fish! What to eat when temperature outside is -25 C with windchill -31C? 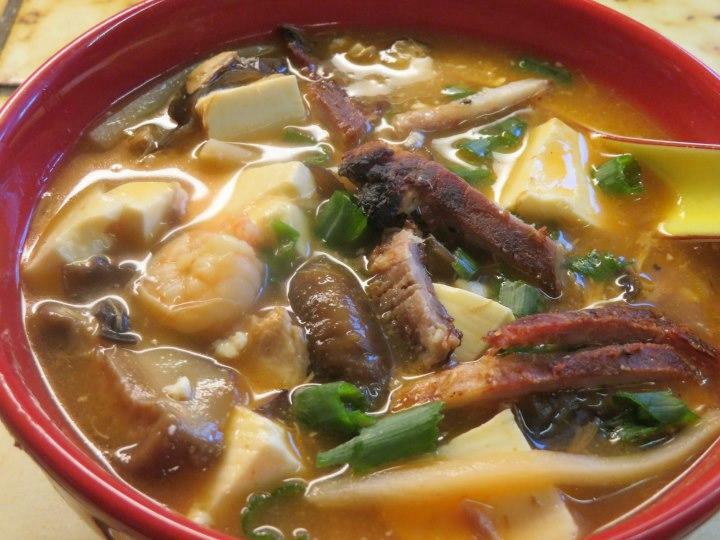 A big bowl of Hot'n'Sour soup! We had our main meal at lunch today. 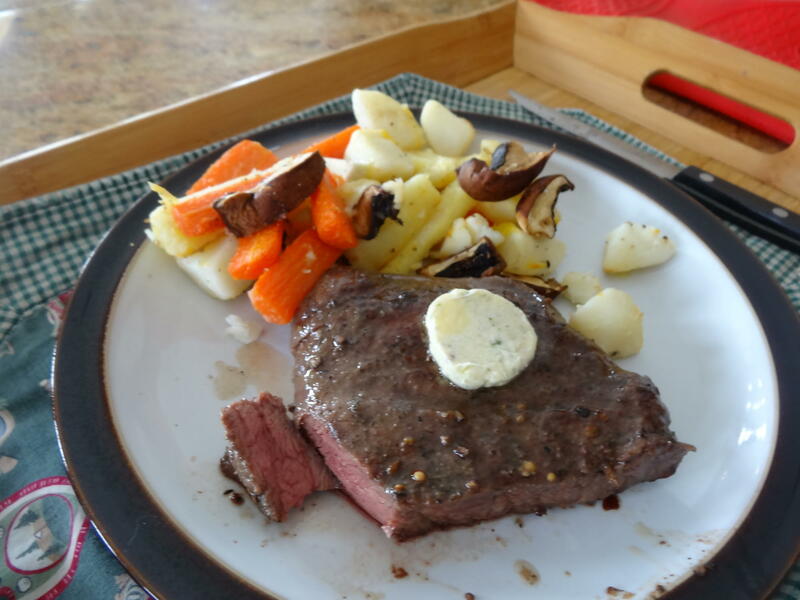 SV flat iron steak (129F x 90 minutes) with chive flower butter, portobello mushroom, parsnips, carrots, and potato. The meat was so juicy but I couldn't finish it all. 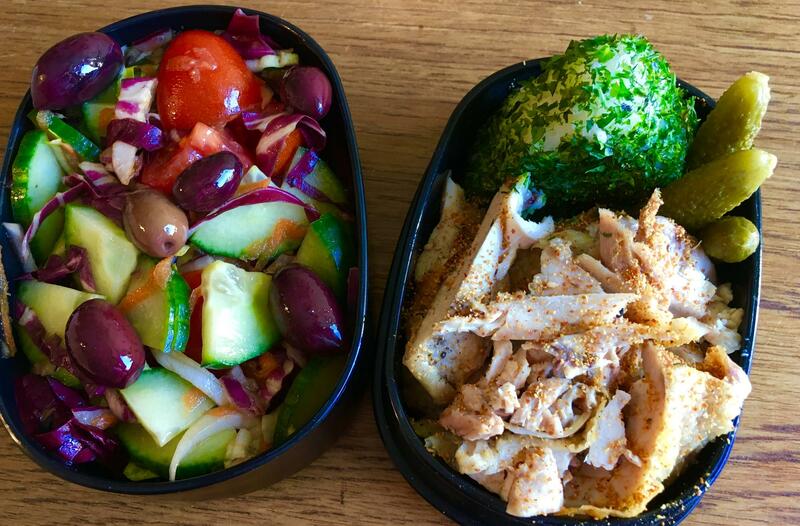 Chopped salad with a wasabi dressing, leftover chicken thigh, onigiri with aornori and some gherkins. 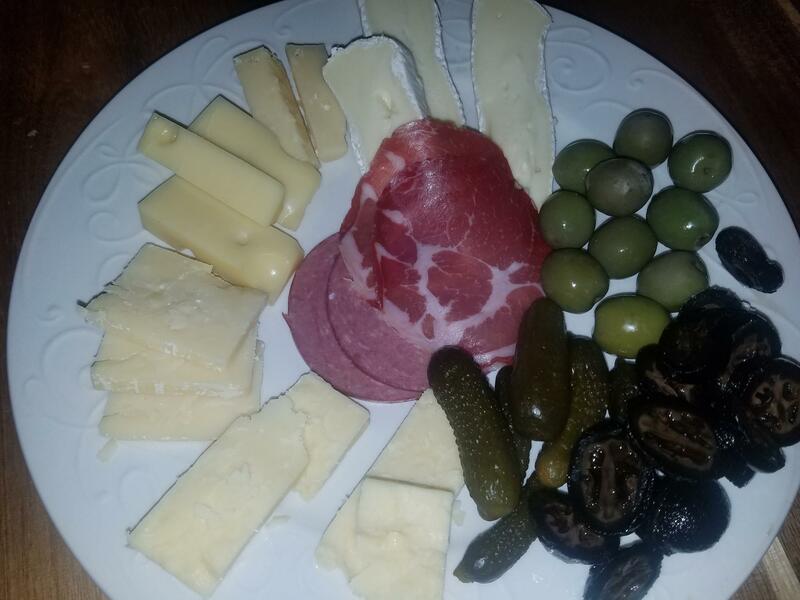 Counterclockwise from 12 o'clock, St Andre, Robusto, Jarlsberg, High Plains Cheddar, Welsh cheddar, sweet gherkins, preserved walnuts, Castelvetrano olives, capicolla, salami. The fruit of going to the grocery yesterday when I was hungry. 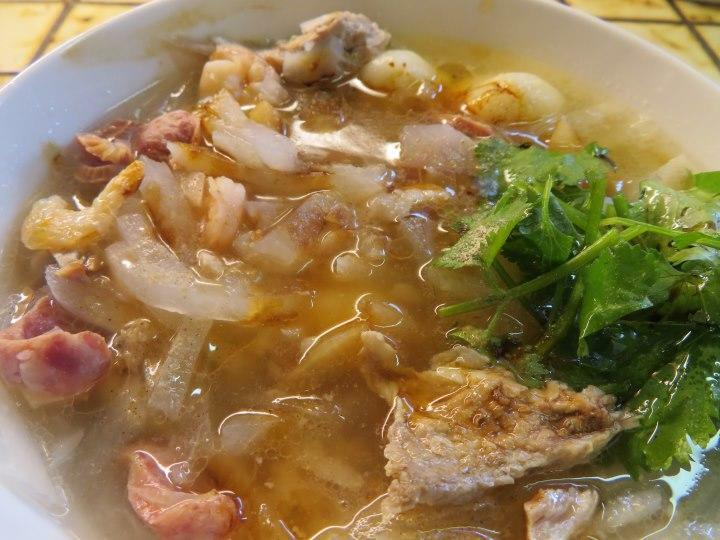 Fresh rice noodles in chicken stock with garlic, chilli, ginger, white pepper and a splash of rice wine vinegar. Shanghai bok choy. Pan fried pork tenderloin with black pepper. Two bowls were had. My one and only lunch in Al Hoceima (I was sick). This was at the fishing port where there are fish restaurants. I could order beer here. Noodles already have prawn roe in them but you can't really taste much. Prawn roe I brought back from Hong Kong. Enough for many noodle meals. 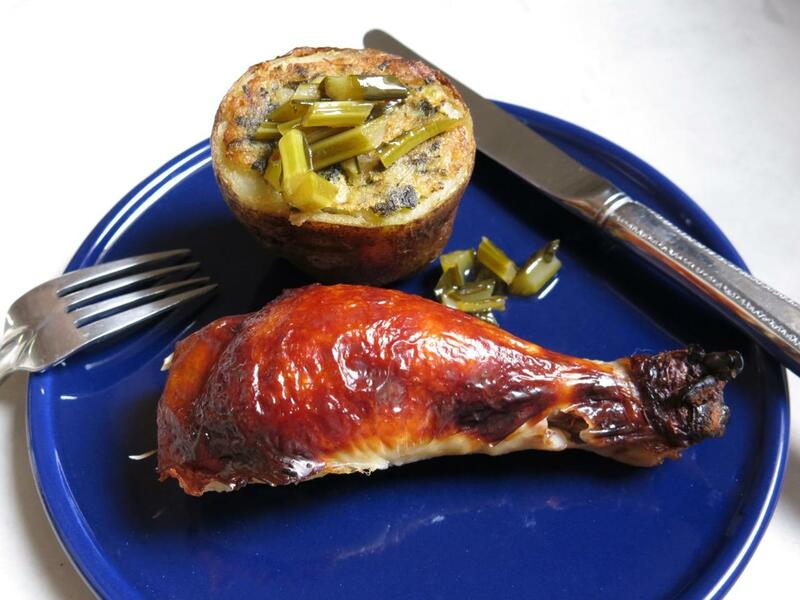 A chicken leg and a reheated twice-baked collard potato with pickled collard stems from Deep Run Roots. The chicken was the Buttermilk-Marinated Roast Chicken from Samin Nosrat's Salt Fat, Acid Heat. 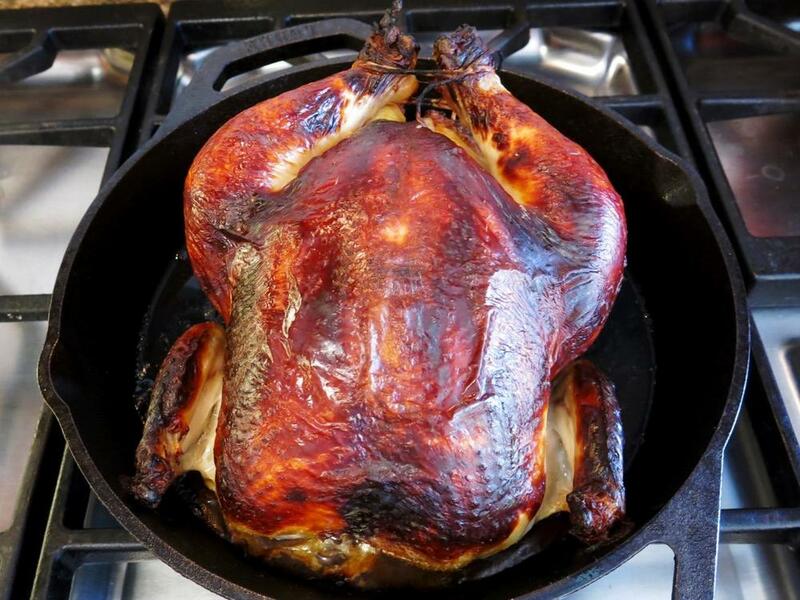 The skin gets very dark but the meat is super moist. The recipe is available online here on the website from her TV show. 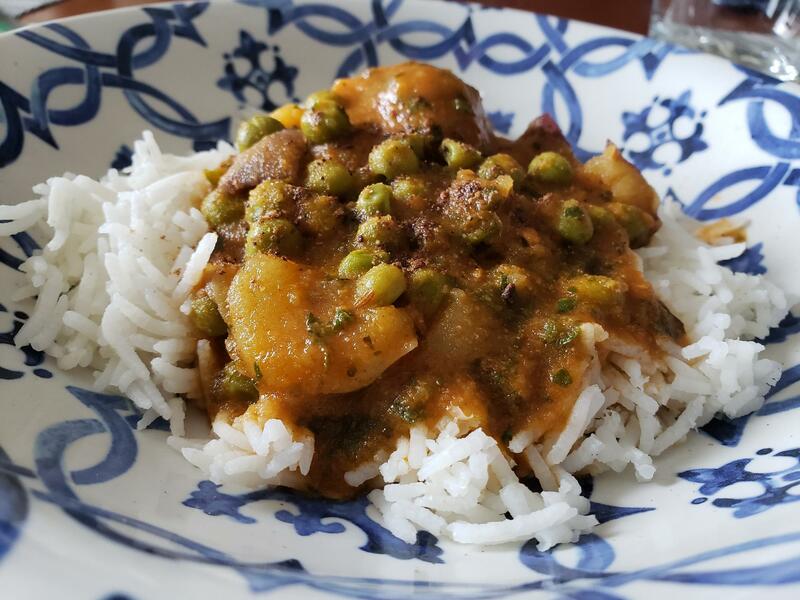 Pretty easy lunch to make, it's a spicy Indian tomato sauce with potatoes and peas, served over basmati rice. Garnished with Garam Masala on top. 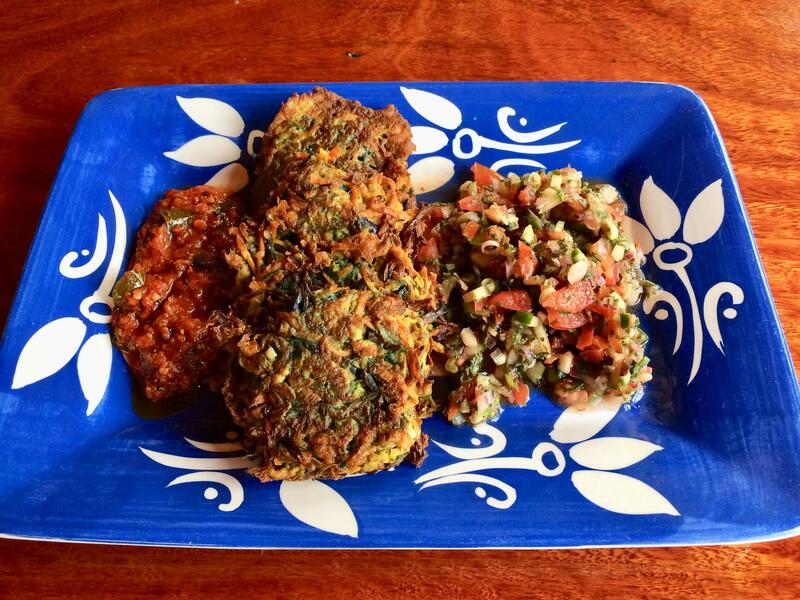 Indian vegetable fritters with some kachumber and fresh tomato chutney. cooked some basmati and jasmine rice to make shrimp fried rice for John's dinner IF he makes it home. popped upstairs with fresh laundry as it was finished then, before I put it into the fridge to cool, scooped up about a quarter cup, topped it with about a teaspoon of butter and the same amount of toast dope and ate it. many, many years ago growing up our "dinner" was a cup of rice with butter and sugar as we had had our main meal about 1 pm. 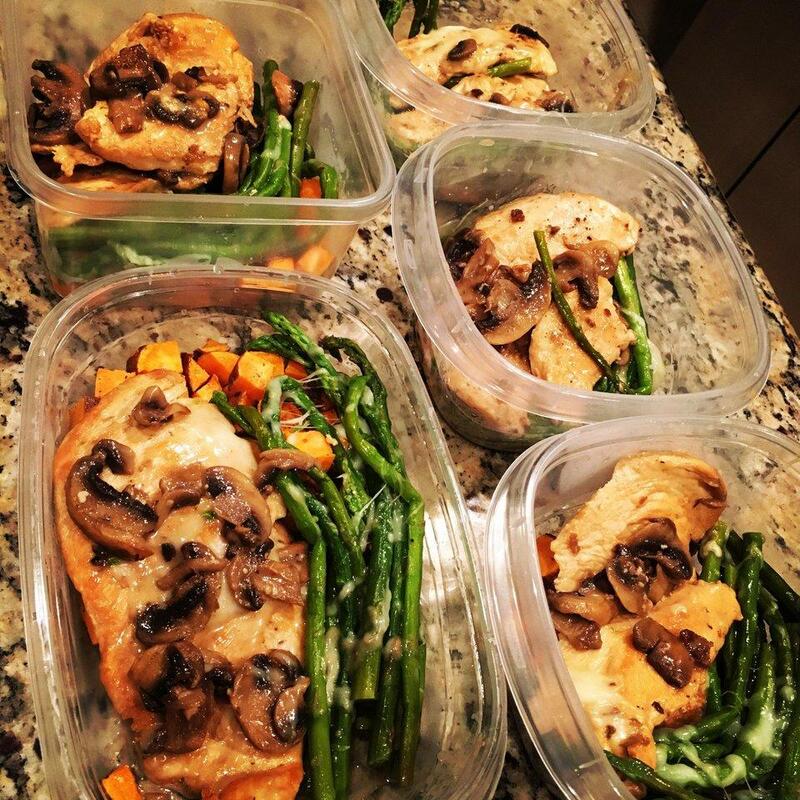 Preparing Chicken Madeira for the week. 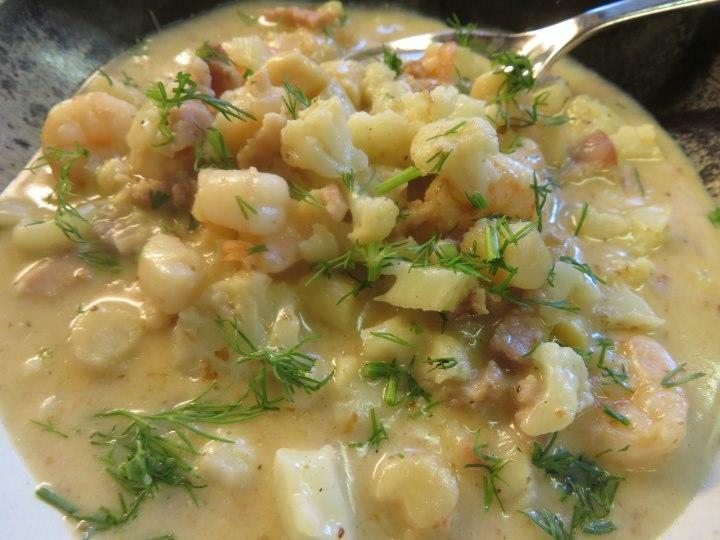 Quick throw together lunch: Bay scallops and small shrimp, diced bacon, chopped cauliflower, chicken stock, and a dash of cream, all thickened with a pinch of guar gum = chowder! Had lots of fresh dill on hand, and my bowl was a lot greener than this one - for hubby! For John the last of the stir fried shrimp rice. For me a grilled cheese sandwich and a cup of tomato soup. Getting chilly. Well in the 40-50’s. 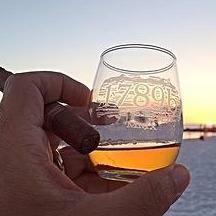 Chilly for me. Have another pot of caldo verde on the stove. Warming and getting my lutein for good retinal heath. This is possibly as "authentic" as Icelandic curried kangaroo. 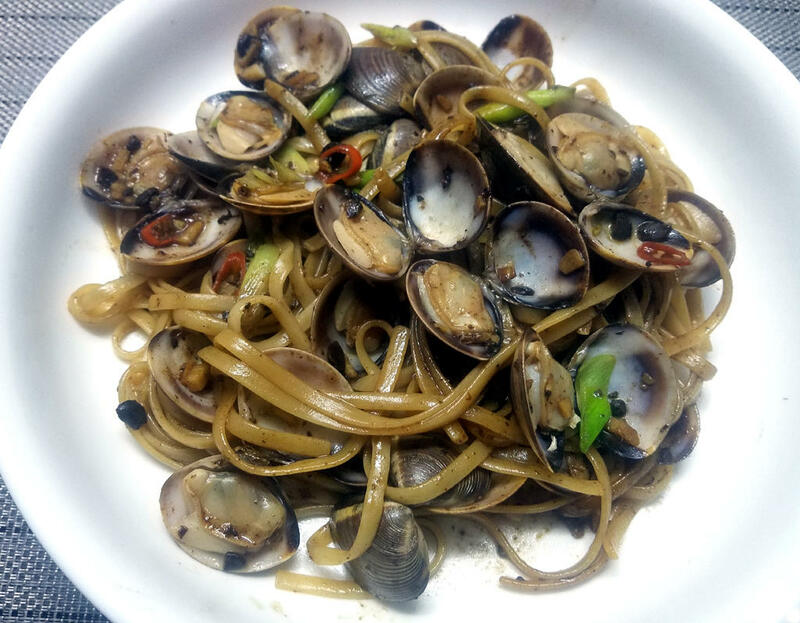 Chinese linguine con vongole. 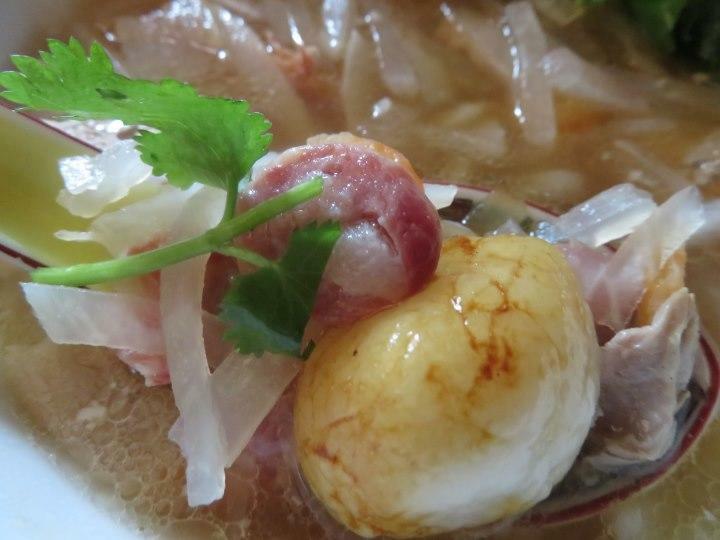 The clams are cooked with garlic, ginger, chilli, salted black beans and Shaoxing wine. Finished with chopped garlic shoots. Crossed the border into Spanish territory in North Africa. Melilla looks and feels almost like anywhere in Spain. After 3 weeks in Morocco I almost forgot what a developed country is like. Even the Spanish looked at us. Not many tourists go to Nador, Morocco, and fewer make it to Melilla. The contrast between Spain and Morocco is strong, unfortunately the bad air quality remains the same. A dish that is traditionally served during Chinese New Year, but I saw beautiful daikon and thoughts of tang yuen have been swirling in my head! A sweet version of Tang Yuen is usually served when the family gathers, but my family prefer the savory kind. My Mom used to make this as a treat and not just for New Year. 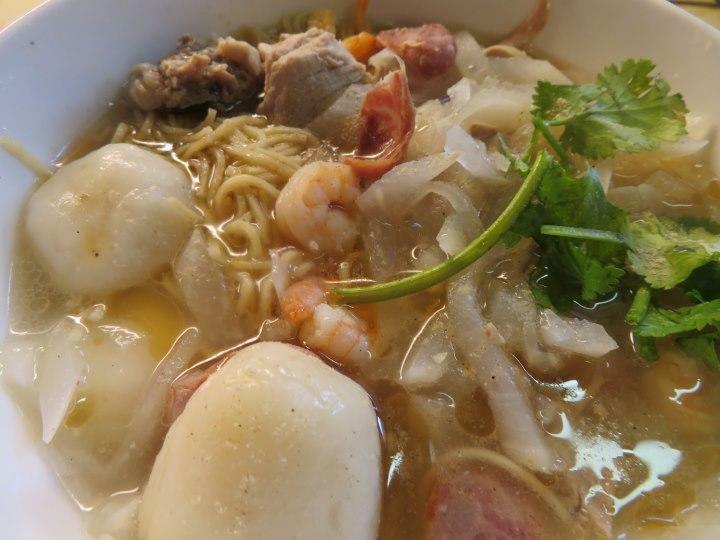 The dumplings are made with glutinous rice flour and rather bland, but all the other ingredients make them fun to eat. 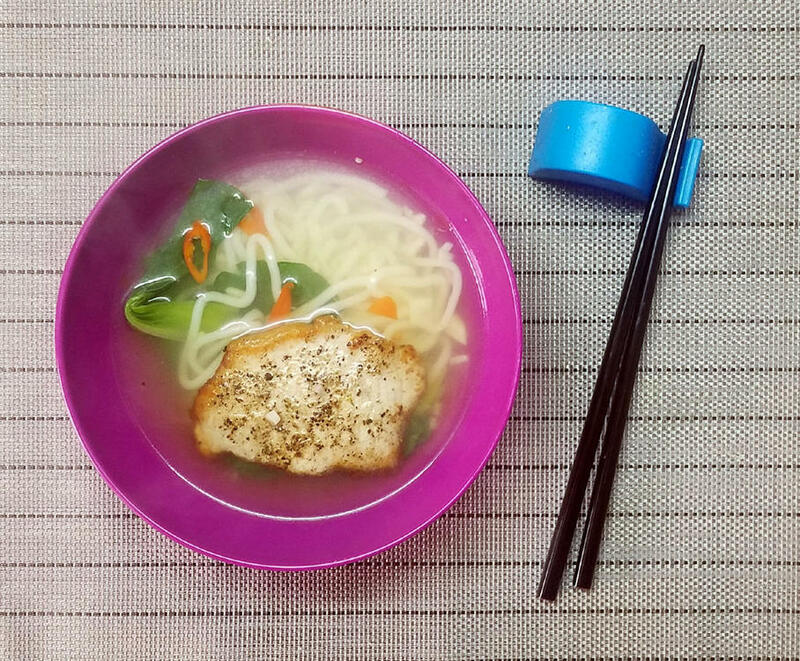 Hubby can handle 3 or 4 dumplings, so I usually put up some noodles as well for him. My kids say "They stick in my craw"! 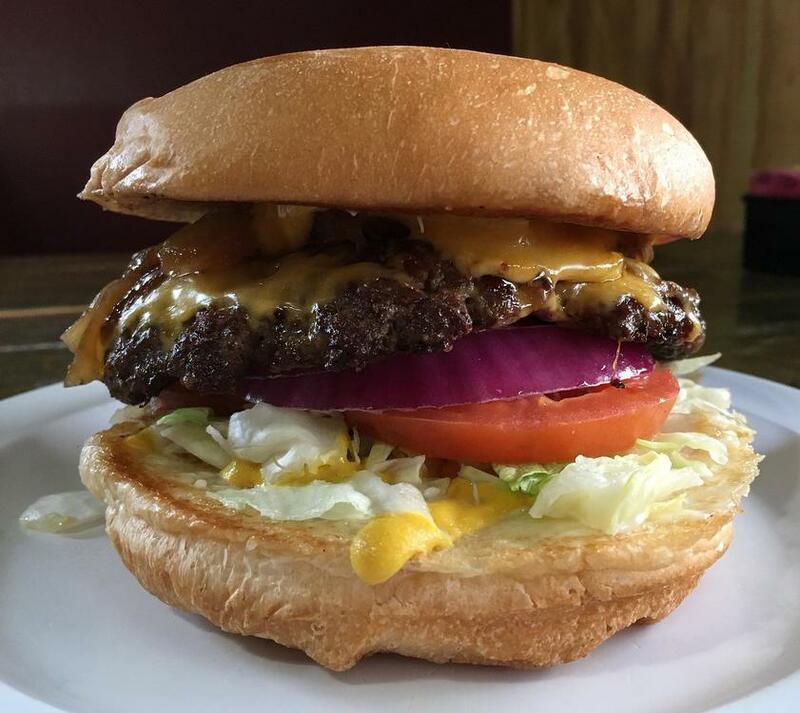 or do you eat yours Upside-down ? Beets me if an advantage is gained. I once (as a joke) did moose curry over couscous for Canada Day, so why not?